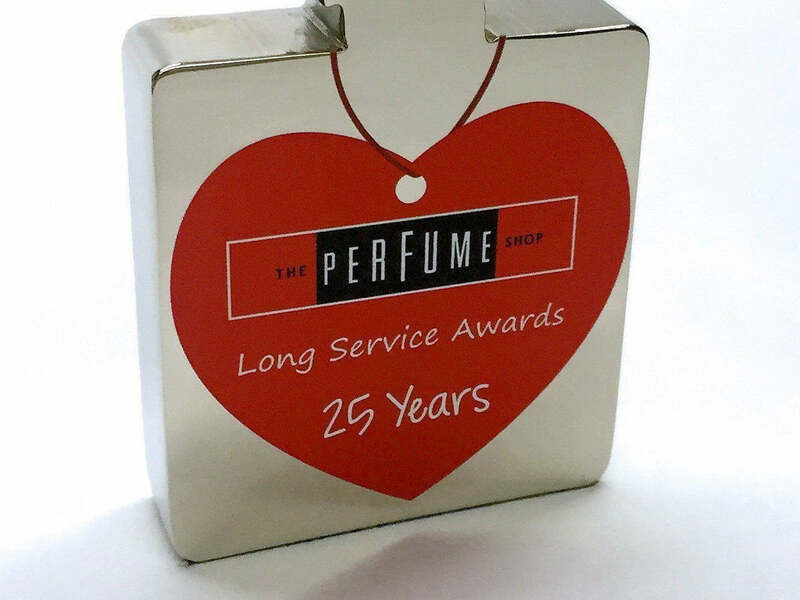 This special commission from high street retailer The Perfume Shop built upon our previous work for The Perfume Shop Awards. 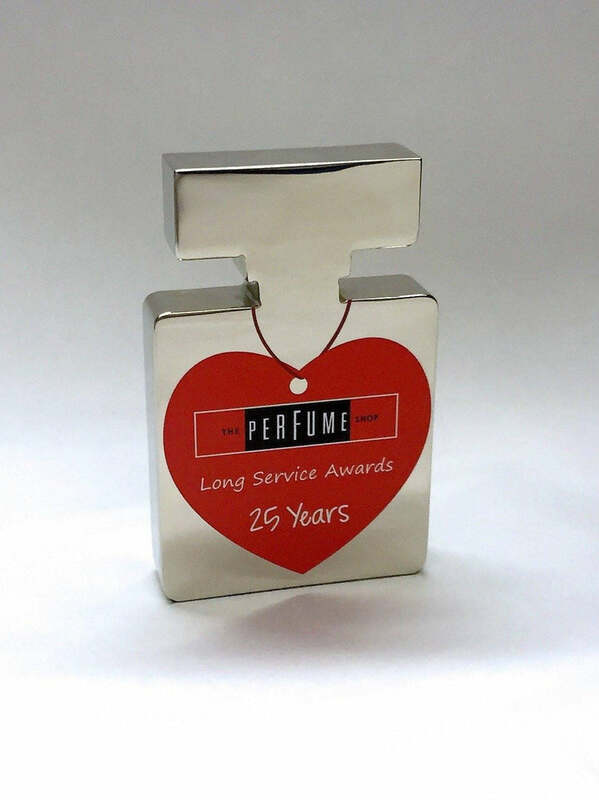 This is a solid block of aluminium precision machined to the profile of a perfume bottle. 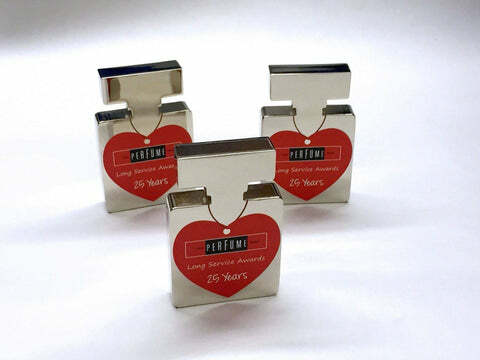 The metal is highly polished by hand to give a brilliant finish and full colour graphics are applied to the surface. These are given to staff who have served at the company for 25 years or more.